Hair done, nails done, everything did! You and your BFF are out on a BIG one, so it is time to know what you are in for. For a lot of you out there this article is going to be all too familiar. But just incase those morning after headaches haven't already left you with some sort of memory loss, we'll remind you exactly what happens when you and your bestie go out on the tiles. Read at your peril. This will either remind you how badly you rock or how much you regret EVERYTHING. Step 1 - Getting ready...like a boss. Now you have two options here, you can either go for the sitting down, chilled-out approach like the lovely Little Mix ladies. Or you can and your squad can go full on Queen B and start the party off VERY early. Step 2 - If you're getting ready separately. Take into account that your BFF is ALWAYS late. Seriously, my friend is always late. This time by two hours. You WhatsApp'd her an hour ago and she said she was five minutes away...but you know she's still in the pyjamas she's been wearing all day. Step 3 - You're FINALLY ready to go out but you both can't decide how you're getting to the club. Listen people, there is no shame in taking public transport. Ditch those expensive cabs. 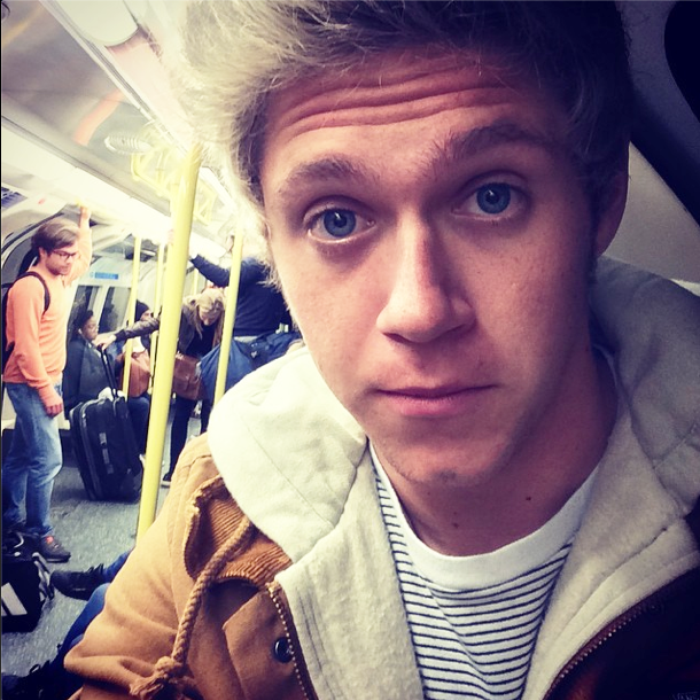 If trains are good enough for Niall Horan, they're good enough for you ok? Step 4 - Making sure your BFF doesn't stack it in those heels she just HAD to wear. 'But we're going clubbing, you don't need heels!'. She just wouldn't take no for an answer would she. Step 5 - Stopping that one pal who is itching to be the first person on the dance floor. No, just don't be those people. Let the random guy in the suit take the plunge first, you can see he's about to pounce on the dance floor at any second, just let him take the hit! Step 6 - Putting an instant stop to your friend's courageous yet shocking attempt at flirting. Step 7 - When the time actually comes, you MUST join in any dance routines your BFF has been practicing. Don't hang them out to dry on their own, there's power in numbers people. Step 8 - The club is sweaty, make-up breaks are a MUST. Plus, now might be the only time you can truly tell her how badly that mascara has been running for the last two hours. Step 9 - Keep her hydrated...seriously. Drink water, trust us, you'll feel so much better for it in the morning (you see, here at Capital we're always looking out for you). Step 10 - Leaving the club...this will take a long time. Her: 'Just one more song. I've finally got this Fifth Harmony choreography down'. You: 'You've been asleep in the corner for the last 35 minutes and i'm on 2% battery...we have to leave'. Stage 11 - Trying to get her to go asleep after she's somehow got a second wind & won't stop dancing at home. Don't worry, they'll feel it a lot more than you will tomorrow.